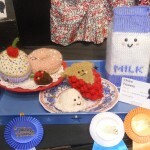 The Orange County Fair Starts Soon: More Culinary Contests To Enter. See what’s cooking at the OC Fair this year: Featuring 23 Days of Iconic Fair food, Celebrity Chefs, Craft Beer & Culinary Competitions and Exhibits — The 2014 OC Fair is cooking up a delicious summer for Fairgoers. From July 11 to August 10, 2014, the OC Fair is serving up summer fun, along with culinary events and new Fair food that are definitely worth the trip. Chicken Charlie is introducing the new-for-2014 Deep-Fried Doritos and Deep-Fried Chicken Skin in addition to his classic favorite fried treats of Oreos, cookie dough and Twinkies. Bacon A-Fair is introducing Bacon-Wrapped Jack Daniels, a unique churro concoction with a little whiskey kick at the end (non-alcoholic). 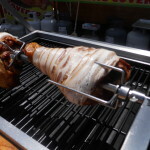 Also, a deep-fried bacon-wrapped turkey leg! Biggy’s Meat Market is bringing gluten-free options this summer with GF hamburger buns, fries & a newly gluten-free The Big Rib. Texas Donuts is putting a twist on its popular giant donuts with new flavors like Cherry Pop Rocks, Banana Chocolate Cream and Peanut Butter Cup. Also new this year, a Latin twist with the new deep-fried Gansito. OC Fair Foodies, the OC Fair’s food-themed costumed characters, are back this summer. Join Olivia Orange, Cotton Candy Carl, Arturo Churro, Cornelius Corn and Ice Cream Scoop as they delight Fairgoers. $2 Taste of Fair Food, held every Friday from Noon-4 p.m., offers Fairgoers the chance to taste Fair food for $2 per item. Fun-sized samples include funnel cake, tri-tip, lemonade, cinnamon rolls, corn dogs, tacos, gelato, cotton candy and more. OC Brew Hee Haw, a craft beer roundup, is July 11-13 and will bring some of the best local craft beers to OC Fairgoers for five sessions of beer tastings, demonstrations and exhibits. Visit ocbrewheehaw.com for details and tickets. Celebrity Chefs will bring their colorful cooking skills to The Hangar stage on three Thursdays. Scheduled appearances, include Carla Hall, co-host ABC’s lifestyle series “The Chew” (July 17, 4 p.m.); Roy Choi, founder of the famous Korean taco truck, Kogi BBQ (July 24, 4 p.m.); and Kelsey Nixon, host of her own show, “Kelsey’s Essentials” on the Cooking Channel (July 31, 4p.m.) Free with Fair admission and autograph sessions will follow each appearance. Presented by Vons. Chef Challenge will put talented culinary professionals in competition against each other with a themed cook-off every Friday at 7 p.m.: July 18 (Earth), July 25 (Water), August 1 (Air) and August 8 (Fire). Free with Fair admission. 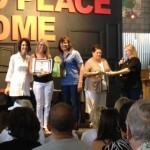 Special Culinary Contests include Eating Smart Starts Here (July 19), Hot! Hot! Hot! Chili, Wings or Salsa (July 26), OC Cupcake Classic (August 2) and Fairtastic Food (August 9). Registration is the Wednesday before each contest. For a complete list, visit ocfair.com/competitions. Daily Culinary Demonstrations can be enjoyed for free in the OC Promenade throughout the run of Fair. 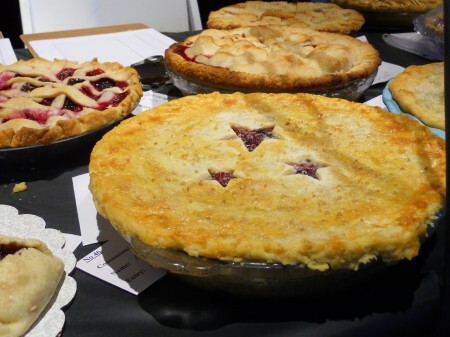 The Bakeology exhibit will highlight the wondrous things a baker can create from just butter, flour, eggs and sugar with daily demonstrations by Blackmarket Bakery chefs. Chef Ray Duey will carve works of art out of fruits and vegetables. 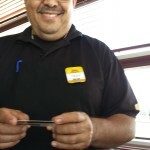 Master Food Preserver Ernest Miller will teach Fairgoers how to preserve fresh vegetables, sauces and more. Artist Shaile Socher will create delicate edible sugar art and Cake Decorator Greggy Soriano (July 11-27 only) will make cake go from bland to grand. Award-Winning Wines are available by the taste or glass in the Wine Courtyard throughout the Fair, and on weekends wine-lovers can learn more about the various varietals during the Orange County Wine Society’s Wine Seminars (most require an additional fee). Centennial Farm, the OC Fair & Event Center’s year-round, three-acre demonstration farm is complete with crops, livestock and the Millennium Barn. 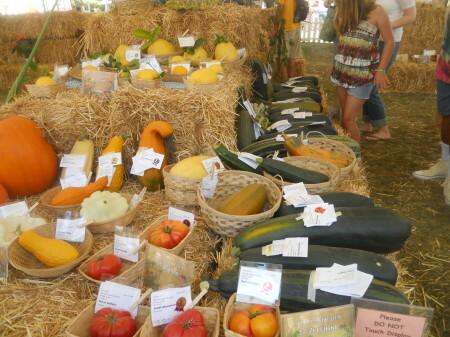 Fairgoers can check out educational exhibits, agricultural organizations and the fruit and vegetable competitions. The 2014 OC Fair, themed Summer Starts Here, is July 11 – August 10 and will bring 23 days of food, rides, exhibits, animals, music, action sports and fun, as well as the Super Pass, Toyota Summer Concert Series at the Pacific Amphitheatre and events in The Hangar and Action Sports Arena. The Fair is open Wednesday-Sunday. Concert tickets, action sports reserved seats, single-day general admission and the popular Super Pass are available for purchase online at ocfair.com or from the on-site Box Office. Free parking and shuttle service are available on Saturdays and Sundays from the Experian parking structure located off the Bristol St. exit of the 405 freeway. 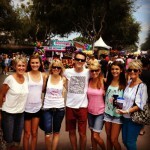 The OC Fair & Event Center is located off the 405 and 55 freeways at 88 Fair Drive in Costa Mesa. 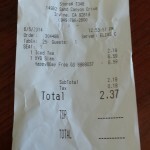 For more information, please visit ocfair.com. 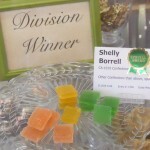 Credits: Photos were taken during previous visits to the Orange County Fair and text is republished from the OC Fair & Event Center Communications Department. 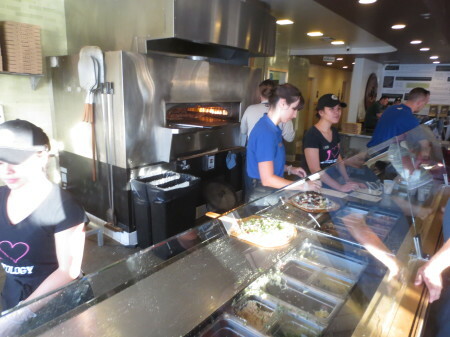 Pieology Pizzeria: The Study Of ‘K’ustom Pizza At One Fair Price. 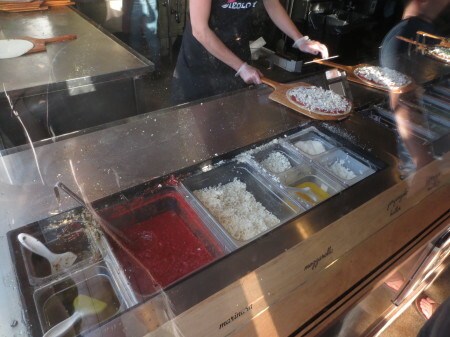 At Pieology Pizzeria, I can finally get all the Pizza toppings I want without worrying about cost. 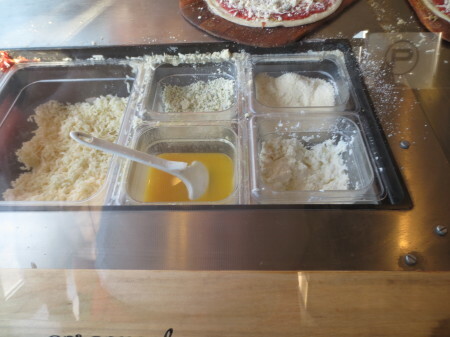 I usually limit Pizza toppings to 3 max, otherwise it gets expensive. Here it makes sense to have more. For one price — $7.95 — You can have them all if you want. And it’s fast too. It’s easy — Just go through the assembly line and tell them what you want. What kind of Sauce? What kind of Cheese? 1/2 and 1/2? Simple? Complex? It’s all up to you. Want more Pepperoni than generally allotted? You can have it — I like that! 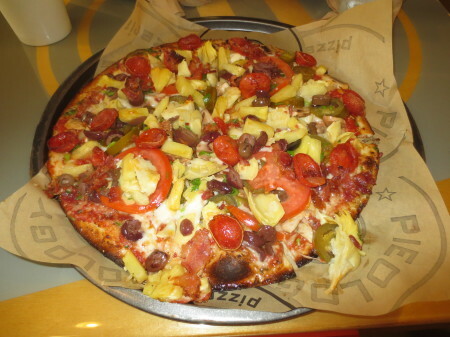 To simplify, you can also choose one of Pieology’s 7 Specialty Pizzas from $6.45 – $7.95. It’s a nice sized Pizza with a perfectly crisp, thin crust, for one or two people. 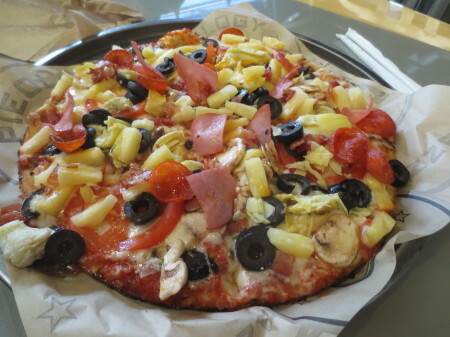 A friend of mine works at a movie theater near a Pieology Pizzeria and says many sneak Pieology Pizzas into the theater. I’m not sure how, but it’s done. And he says… it’s the most coveted leftover by those cleaning theaters — Some like it so much, they’ll eat a stranger’s last slices if they’re left in the theater. Yikes! I surely wouldn’t do that (hahaha), but it goes to show how good it must be, or theater employees need to eat before going to work. Photo Anniversary Cake From Albertsons: Happy 50th Mom & Dad. 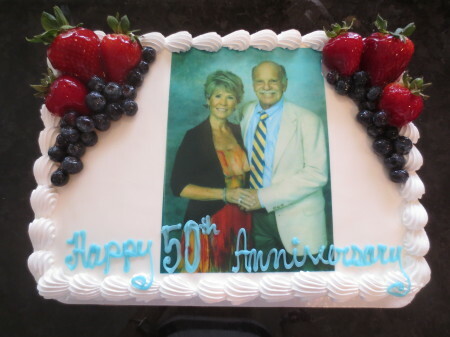 We got this Cake for our parents 50th Wedding Anniversary — It’s them on the edible topping. They were impressed to see it and so were we. It’s from Albertson’s Bakery. It tasted good too, with a Whipped Cream Frosting, Vanilla Cake and Strawberry Filling. 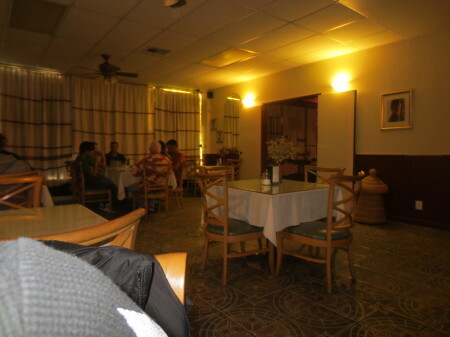 Tana, Abyssinia & Merhaba: Ethiopian Restaurant Reviews. 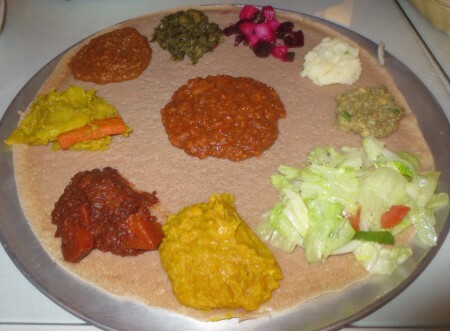 Have you ever tried Ethiopian food? I hadn’t until recently. Do you know anything about it? 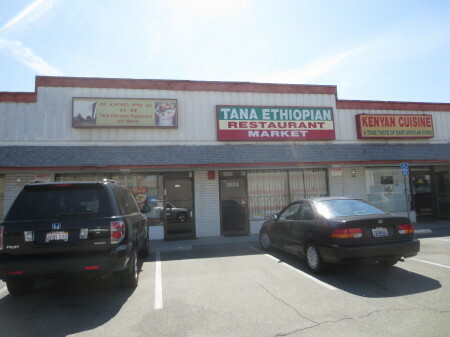 I just moved to Fullerton near several Ethiopian restaurants. 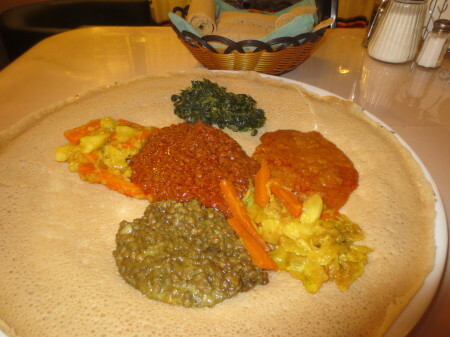 Curious about them, I researched ‘local Ethiopian food’ to learn which is best. 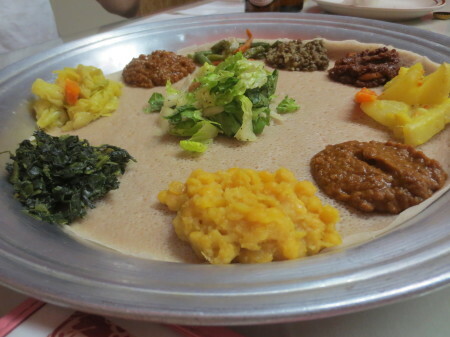 Since those closest (Tana, Abyssinia & Merhaba) had good reviews on Yelp, I became less clear where to go, thus I tried and compared them all myself, along with my adventurous husband – One Vegetarian Combination Plate at a time, served on Injera, a sourdough-risen flatbread with a slightly spongy texture. 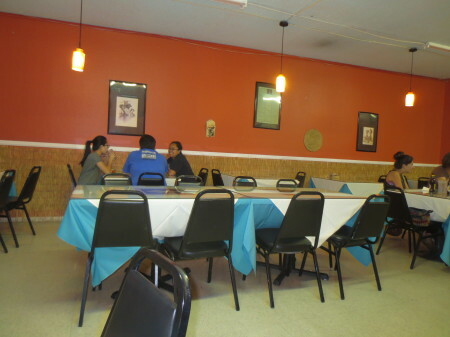 We started our Local Ethiopian Food Tour’ at Tana Ethiopian Restaurant (above) on La Palma Avenue in Anaheim. It’s located in a small strip mall and doesn’t look like much on the outside, but inside it’s relaxed and smells like something good is cooking. Don’t be timid to go inside, everyone’s nice — A common theme of all three. There’s a better world inside each. We had a Vegetarian Combination Plate at each restaurant — It’s a varied combination of Shiro Wot, Kik Alicha, Gommen, Yemiser Wot, Sinegkarya, Lentil Stew, Potato & Carrot Wot, etc., which generally translates into Cabbage, Spinach, Potatoes, Carrots, Lentils, Split Peas, Green Beans and/or Chard cooked with Onions, Garlic, Ginger, Chili Powder, Turmeric and other spices. A Wot is a thick stew of different vegetarian and non-vegetarian types. 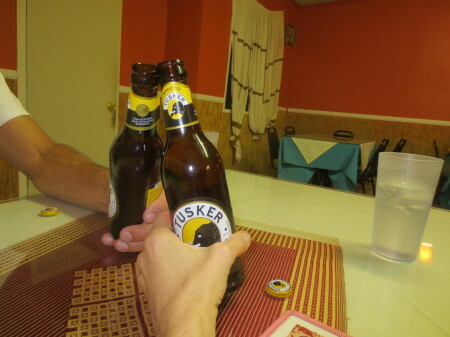 Inside Tana (above) — Toasting with African Beer. Beer & Wine is served at all three. 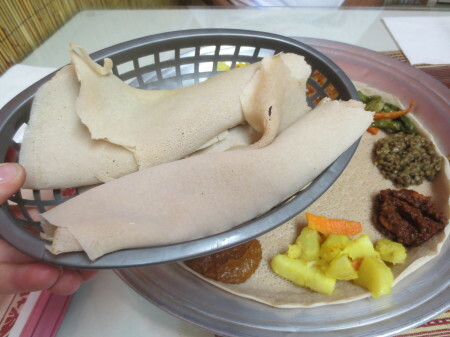 No utensils are provided — You eat with your hands using the Injera. 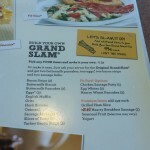 It appears most meals are served on it and more is provided on the side. We didn’t take lessons on how to eat. We just tore-off a piece of Injera, pinched a little Wot and ate it. It worked well and made us full. The Injera can be quite filling — Towards the end, I wanted a fork to eat less of it. 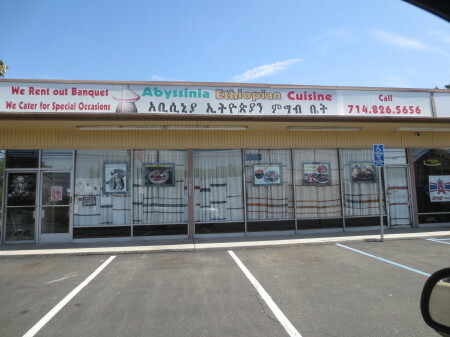 Abyssinia Ethiopian Cuisine (below) is the second Ethiopian restaurant we tried in Anaheim, California — It’s located off West Lincoln Avenue and it too is unfancy on the outside and welcoming inside. Its Vegetarian Combination Plate also offered ten unique dishes. Both Vegetarian Combination Plates thus far had similar dishes with a Salad. Except for the Salad, most dishes are served warm, though above had additional cold dishes. 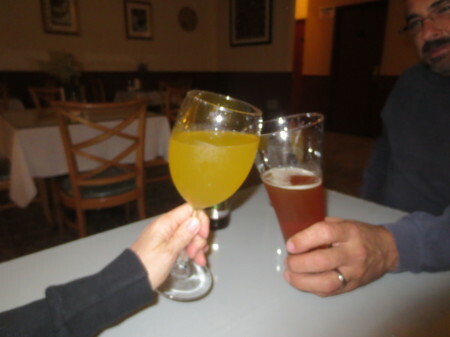 Inside Abyssinia Ethiopian Cuisine (above) — Toasting with Honey Wine & African Beer. We also tried their Doro Wot aka Doro Wat – A Spicy Chicken Stew made with Chicken Legs and Hard Boiled Eggs. The Sauce was flavorful and the Chicken was tender, but there wasn’t enough of it — Abyssinia’s Vegetarian Combo was more filling than their Doro Wot. 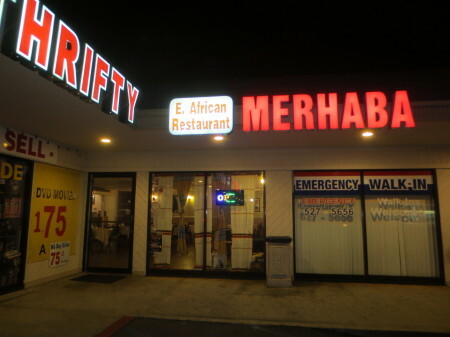 And finally, we tried Merhaba East African Restaurant (below), last on this tour, but certainly not least. Consistent with the others, its exterior isn’t pretty, especially sandwiched between an Emergency Walk-In Center and a Thrift Store, but there’s a friendly escape inside. As shown, Merhaba’s Vegetarian Combination Plate (below) has six dishes and no Salad. 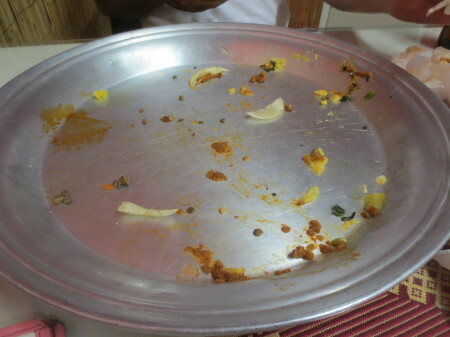 It includes fewer dishes than Tana’s and Abyssinia’s Combos, but we both liked Merhaba’s plate the best. Each dish had an abundance of flavor. It’s quality, not quantity at Merhaba. It’s funny… I was least excited to go to Merhaba, mostly because it has less of a presence online, but it may now be my first pick. It’s similarly comfortable inside too (below). Cheers to Merhaba with a different African Beer. 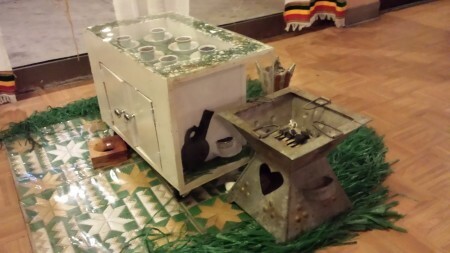 Next time we’ll try their special Coffee (below), which is served after a ceremonial process. 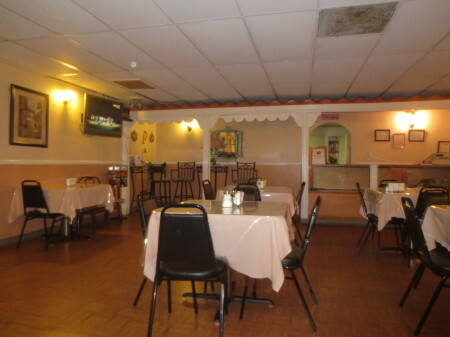 As reported, Tana Ethiopian Restaurant, Abyssinia Ethiopian Cuisine and Merhaba East African Restaurant are indeed good and worth a visit and more. All should definitely try Ethiopian food. Contrary to what some think, Ethiopian food is filling and appetizing. 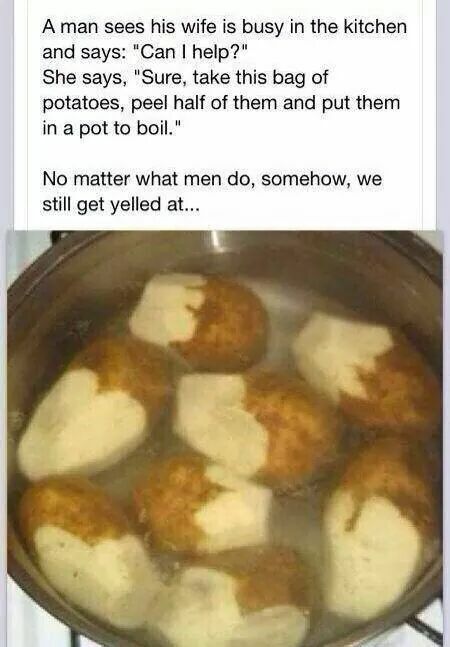 For The Record Husbands: How Not To Peel And Boil Potatoes. Well… I wouldn’t yell at my husband if he did this — I’d just make fun of him.